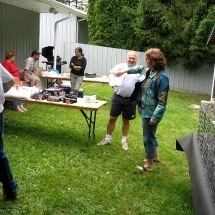 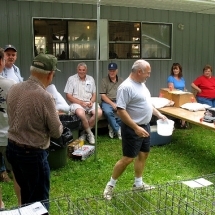 On Sunday, July 8, 2007 VP & FPA members, both old and new, their families and friends got together to enjoy the club’s annual lawn show. 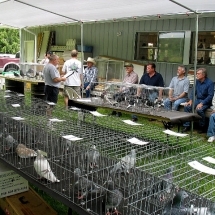 All the time honoured traditions were observed, blue skies, a delicious barbecue, refreshments in the cooler, a raffle table and of course a pigeon show under canvas. 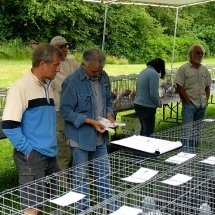 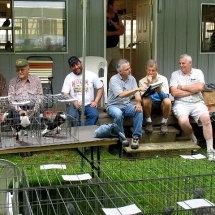 A good crowd from the Lower Mainland, Vancouver Island and Washington state gathered to watch judge Mike Lopez go through the 102 birds from 11 exhibitors. 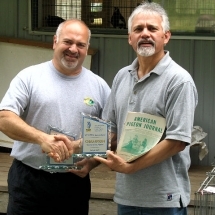 Good natured competition prevailed with Ken Chatwin and Ernie Silveri each taking both young and old bird awards in the flying and fancy sections respectively. 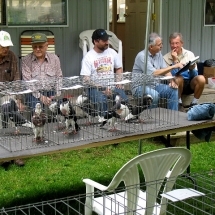 While we often comment about how the pigeon fancy is struggling to survive it was good to see everyone enjoying this pleasant event. 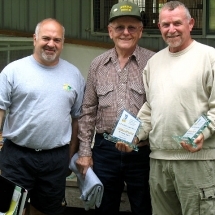 Thanks goes to Ernie Silveri who again allowed us to use his residence for our show, to Murray McAllister our BBQ chef and to Ken Chatwin the show set-up co-ordinator.